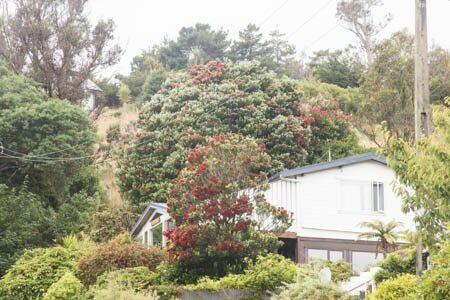 The natural range for Pohutukawa are the coastal regions of the upper half of the North Island, so Stewart Island is well south of where we would expect to find them. 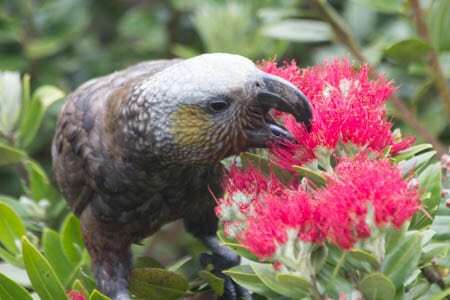 But we have several in our garden, and they are doing very well. 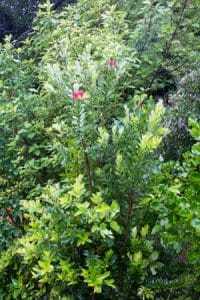 Some we bought down as small seedlings from a visit to Great Barrier Island, and others we “inherited” when we bought the property. 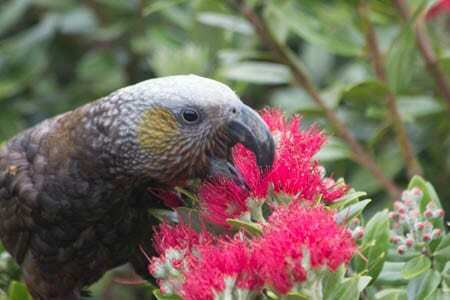 All are doing well and are popular both for their scarlet display and for the birds their abundant nectar attracts. Two of ours are just coming into bloom, and by the buds it looks like we are in for a good display. 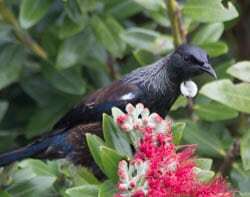 Tui and Kaka have staked their claims and the resulting squabbles are shaking the trees up…….. Tui are extremely protective of what they see as “their” food source and will try and see off all comers … even other Tui. 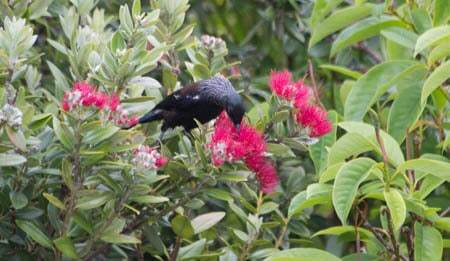 Kaka will stand up to Tui, but the poor Bellbirds don’t have a chance against aggressive Tui and as yet I’ve never manged to capture a photo. 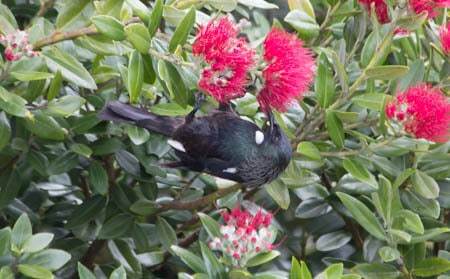 And it is here that the nectar accumulates to attract our honey feeders. 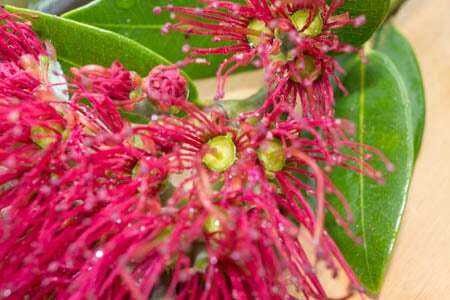 I had always thought that although Pohutukawa do well here they would never throw viable seed which would germinate this far south. But Diane Smith showed me wild growing seedlings from her superb specimen, which I have to say amazed me. Their position is in probably the warmest corner in the village, being well sheltered and in a real sun trap. But amazing, never the less. 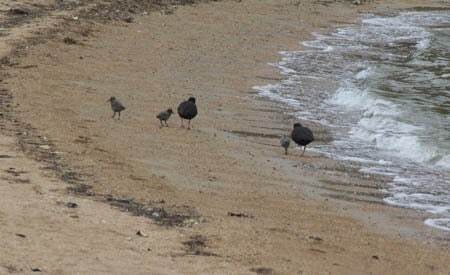 On my last post I mentioned that the 3 oystercatcher chicks on Boulder Beach would probably not all survive. Well, I’m happy to report that yesterday they were all present, had grown significantly and …. fingers crossed … look like they may have a good chance.